First of all, I have no clue why it took this CD so very long to reach the continent. My guess: it probably swam across the North Sea! We are going to reward its efforts, by listening with our full attention, as this seems to be an interesting album. 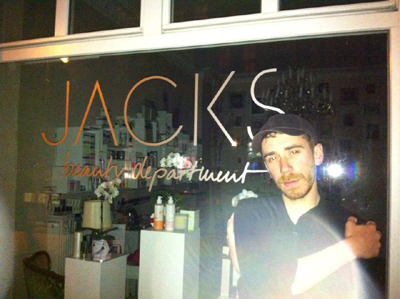 Jack Day grew up in Hornsey, North London, yet began his musical career whilst living in Brighton. Inspired by the likes of Ramblin' Jack Elliott and Woody Guthrie he began appearing around the capital’s folk clubs: Easycome and the famous Lantern Society. 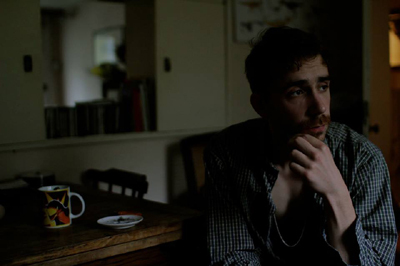 In 2011, with fellow London troubadour Benjamin Folke Thomas, Day took over running the club that has always been a bedrock to London’s emerging singer-songwriters. In mid 2012 he and Thomas ‘retired’ from the Lantern, to run regular evenings at The Libertine in Borough. 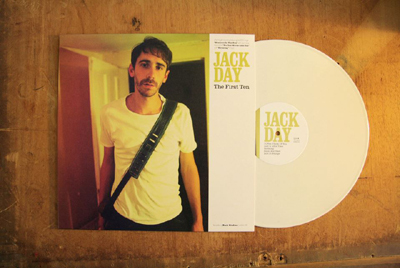 'The First Ten' is Jack’s long awaited debut album. The album contains ten self-penned songs, beautifully written and performed by the young singer-songwriter who has become a ‘must see’ on the thriving London scene. It is a solo record - raw and intense. As Day says: “It’s also formative, the first record I’ve made about some of the first things I’ve learnt and some of the first things I’ve said goodbye to. There’s a lot of love in there, a bit of London and a bit of hurt." The songs are delivered straight, recorded by beautiful old mics, by veteran engineer Brian O’Shaughnessy (Primal Scream, Beth Orton, Denim, lots of 80s dub and more) at Bark Studios in Blackhorse Road, North-East London - a studio that prides itself on their use of top end, vintage instruments and recording equipment. "There was a gorgeous old Fender valve amp for the Telecaster and upright piano sweet with age; you can hear the foot pedals on the recording. It’s that type of deal. At the front end of recording I was listening to blues and country, from Son House to Townes and all of those; at the back end I was on Otis Redding and Springsteen.” It seems that there was a certain warmth in the studio and in that process. This manifests on the album as the listener cannot fail to be drawn in by the fullness of sound and the rich weight of the performance. There is an underlining passion and integrity that permeates these songs giving them a truly up-front and personal feel. In the Autumn of 2013 Jack Day and Bryony Afferson (from London based folk trio Troubadour Rose) started playing shows together as Sugar Magnolia. 1. "I Often Think Of You": The opening track has been introduced as 'driven along by heavy fast fingerpicking and hand clapping, reflecting Jack Day’s early years on the road'. A wistful song, with its gorgeous acoustic guitar playing right up front in the mix and remarkable rhythmic clapping keeping the tempo in the background. Jack's vocal is recorded somewhat softer, which works very well for the song but makes it harder to understand the -undoubtedly poetic- lyrics and there is no booklet!! The raggedy voice makes Jack sound much older than he looks in the picture, pleasant but not perfect, like a seasoned street performer. It is a sparsely arranged song with 'hit potential' - it oozes honest feelings like longing and isolation. 2. "Just A Little Time": A duet with Bryony Afferson, who sings a subtle but magnificent duet vocal. 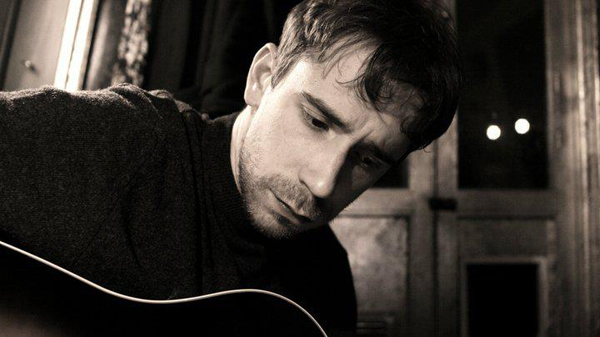 Jack's hushed voice is reminiscent of Bob Dylan, in this dark and passionate old school folk singer-songwriter love ballad. Well, if it weren't for the Telecaster electric guitar - in the picture it still stands patiently waiting in a corner of the kitchen. 3. "Birdsong": That Telecaster sure opens a new perspective on the songs. I like singer-songwriters playing solo on electric guitars, it should be done more often. This is a misleading song title though, you would expect something lovely instead of this sturdy, harsh rocking. It's just a bit too much. This track was introduced as 'offering an altogether different sonic template, a driving Telecaster the background to a now trademark blistered voice'. 4. "Snow And Sleet": Introduced as 'a folk-esque song that falls in the storytelling acoustic tradition', reminiscent of Ramblin' Jack Elliott, a major influence on Jack Day in his younger days. It has a beautiful rippling melody, a little sad - but comforting at the same time. 5. "Isn't It Strange": Another relaxed acoustic early Dylanesque ballad, with an atmospheric piece of harmonica playing by Pepe Belmonte. 6. "No One Moves Like You": The upright piano, played by Graham Knight, takes over from the guitars in this Tom Waits type of melancholy slow song. Introduced to us as 'a truly stunning piano led track, just underlining what an incredible songwriter Jack Day has become, imbuing within its powerful verses self reflection, hope, and the trials and tribulations of being an artist'. This was the second single taken from the album, by the way. 7. "Shadows In The Sun": This was the first official single. Back to the acoustic guitar for a bit more uptempo song, with a wink at classic Townes Van Zandt material, just a little less dark and sad. 8. "If This Song Were More To Sing": We continue in the same vein, only backed by the Telecaster now. 9. "I Have Been Conveyed": Graham Knight's piano takes the lead again, next to the acoustic guitar, for this gospel influenced song. Its introduction: 'There is even a sublime acoustic gospel vibe on this glorious track, that echoes Dylan in his more religious periods'. 10. "It's A Girl's World": Another subdued take on Tom Waits in this reflective conversation between a young couple, looking back on the recent history of their love affair. Ten songs indeed, all self-penned to a total of 37 music filled minutes on the disc. 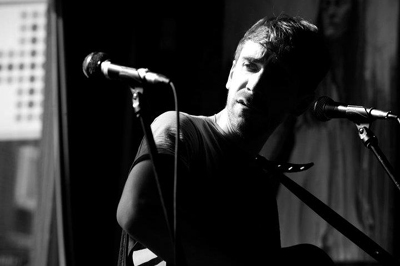 Jack Day is a folk troubadour, inspired by the buskers from his youth. 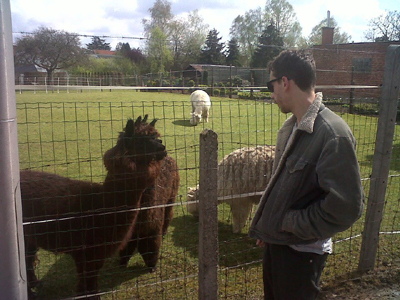 He learned a lot regarding simple but catchy melodies, traditional song structure, sparse and minimalistic instrumentation. 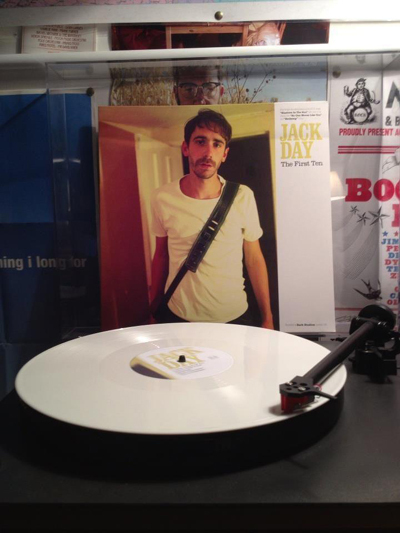 Jack Day is a young songwriter, a rising star with a lot of honest words to say and also a lot of sincere potential. He gave us a powerful debut and once he finds more of his own voice and lets go of all his influences, the sky could indeed be the limit. 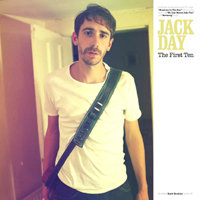 To make a long story short: I would definitely listen to 'The Next Ten' by Jack Day. Question: There’s this old saying that you spend your entire life making your first record, and only a couple of months making the next one. How far back do these first ten songs go? Jack Day: Yeah I like that. I’ve had a couple of the songs for five years I think. "Birdsong" is five years old. "Isn’t It Strange" and "I Often Think Of You" are old too. But 'The First Ten' is the result of years of fuckups (or ‘learning’). I made ten non-fuckups and put them out. But the response has been great. Q: There’s a lot of vulnerability in these songs, a lot of heartbreak. Are we more or less reading the Jack Day bedroom diary? JD: I think you’ve got to write truly, more or less, or else it’s likely you won’t get it right. I don’t know about the heartbreak, it sounds like there’s a lot. I definitely know what you mean, but I think that could be to do with the delivery and production rather than the content of the lyrics. My voice is just like that. Yeah alright, bedroom diary, give or take. Q: Could you tell me about the recordings? You used a lot of vintage equipment on the record. How does that add to the sound? JD: I’m no expert but it sounds to me like it’s got a lot of heat or something. It’s really important because of the arrangement of the record. I always knew I wasn’t going to load it up with instruments and musicians - I didn’t feel like I could or wanted to. I had a very clear vision and wanted a singular sound that was all about intensity. So, whatever I did would be very exposed and therefore had to be able to stand up for itself. The right recording equipment helps that. I’m not sure if it’s because it’s vintage or just good, maybe those things are related. 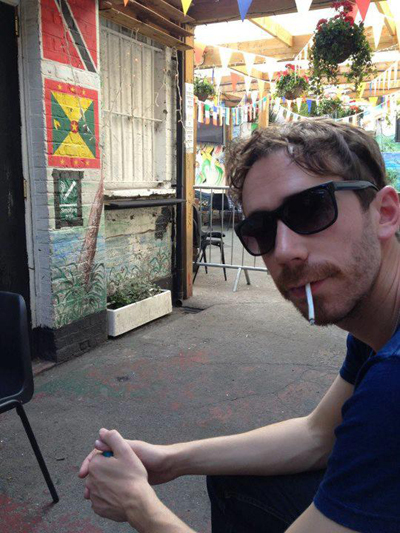 Jason McNiff told me about the place, Bark Studios in Blackhorse Road. I loved being there. Q: There’s an amazing change in dynamics when you go from acoustic to electric guitar between songs. How did you figure out which songs were plugged in and which weren’t? JD: Thank you. Mostly the decision was made for me because the rule was something like: If it was written on the electric it goes on the record as electric and vice versa. I think the logic’s right. Only one that flipped was "Birdsong" and I don’t know if I got that right. People say no, people say yes. Q: I know I’m doing the typical music journalist thing here by trying to put you into a box and stick a label on your forehead, but I’m hearing the guitar playing of mid-60’s Ramblin’ Jack Elliot, the melancholic mind-set of Tim Hardin and the ferocity of Bob Dylan gone electric in your songs. How do you think the history of folk music has influenced you? Q: How much of North London have you put in these songs? JD: Yeah a bit. "It's A Girl’s World" is there, and "Shadows In The Sun". North London’s a difficult one. I’m there and have been there almost always so it’s got to be in the songs, but really I’m still to work out whether I’ve got any romantic sort of connection to the place. I probably do, but probably don’t recognise it. Q: I know you’ve been involved with the UK folk club circuit. How big a role do these ever passionate people play for you and other artists these days? JD: I’m not as involved as I was so I‘ll struggle to be accurate. At one time I was involved, I was during 'The First Ten' and it did help me a great deal when I was starting out. I found it a great time. You could play every night and you wanted to. I grew up behind all these other singers, in a lot of the same clubs. For two years I ran The Lantern with Ben Folke Thomas. That was a naughty time, loads of chaos and drinking, amazing. Some of those nights were absolute quality but there came a point where just too many other things were going on like touring and putting out records, and we wanted to hand it over. It still runs though and I still love being there. Q: Townes Van Zandt once said that being a folk singer is ”10% playing and 90% driving”. Do you enjoy life going up and down the M1? JD: Yeah but it’s mainly the autobahns for me. I do more shows in Europe than up and down the UK. And I can’t drive! Being from London you often don’t learn, so I always go with someone who can drive and I do the moral support bit, with some navigation thrown in. Feel bad about it though, really should learn. Will learn! Q: Final question - with the first ten songs sorted, in which direction do you see the next ten going? JD: I’m working hard now but I’m working differently from 'The First Ten'. The next one’s gonna be the one! I’m making demos now. Written & compiled by Johanna J. Bodde - March 12th, 2015.